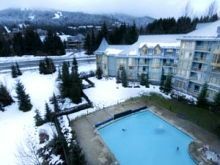 WorldMark Cascade Lodge is located in beautiful Whistler, British Columbia, roughly 75 miles from Vancouver, Canada, and just over 200 miles from Seattle, Washington. Repeatedly ranked by readers of SKI Magazine as the Number 1 Ski Destination in North America, Whistler is also a fabulous summer getaway, vibrant with wildflowers in bloom and endless outdoor activities. 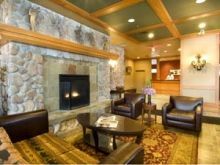 Rent or Buy WorldMark Cascade Lodge timeshare on the bargain-filled resale market and head into vacation every year or exchange your week for a getaway at one of the affiliated WorldMark resorts around the world. 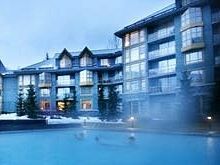 The town of Whistler is positioned at the mountain base between Whistler and Blackcomb Mountains. Summer vacationers love to take the PEAK 2 PEAK Alpine Experience, which is the longest continuous lift system in the world, transporting you between these two majestic peaks. From the glass-bottomed gondolas on the lift, passengers enjoy dramatic views of glacial Fitzsimmons Creek, located more than a mile below, as well as a 360-degree perspective of Whistler Village and the surrounding, mountains, forests, glaciers, and lakes. Golfing—and a whole lot more! 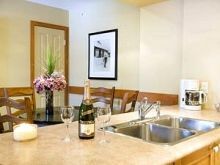 Timeshare owners at the WorldMark Cascade Lodge love the fact that there’s so much to do, along with easy access to shops, spas, galleries, boutiques, bistros, cafés, and fine dining, all conveniently located within the village of Whistler. Of course, with more than 8,000 acres of snow-covered slopes, three glaciers, first-class terrain parks, and more than 200 miles of trails, Whistler vacations are always focused on winter sports. Enjoy the slopes, cross-country skiing, snowmobiling, tubing, ice skating and just about any other winter activity you can imagine. Serious skiers will want to check out the powder on Xiggy’s Meadow on Blackcomb, breathtaking views on Couloir Extreme or Climax, and Franz’s Run on Whistler for an experience that’s far beyond your average ski run. 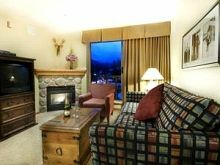 Designed to look much like a massive Swiss Alps chalet, the timeshares at WorldMark Cascade Lodge offer four different 1-bedroom floor plans, each with a private bedroom and a queen size bed. In the living area of each unit is a sleeper sofa. These 1-bedroom timeshares are available with or without a deck as well as layouts that are customized for guests with special needs. All of the 1-bedroom plans are designed to comfortably accommodate up to four adults and include full kitchens, an in-unit washer and dryer, cable television service, one or more DVD players, a gas fireplace, air conditioning, and stereo with CD player. Special needs plans include the amenities of a traditional one bedroom design, plus the addition of a roll-under sink, roll-in shower, grab bars, and convenient access to the building’s elevators. Many, but not all, of these specially equipped units have decks or patios. 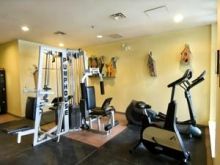 On-site, you will enjoy the outdoor pool, outdoor hot tubs, ski and mountain bike storage, fitness center, indoor sauna, underground parking, movie rental, shared computer (fees may apply). Other handy features of this WorldMark by Wyndham resort include elevators, after-hours check-in (by request), and onsite car rental. Remember: U.S. citizens need a passport to enter Canada. While your U.S. driver’s license is sufficient for renting a car in British Columbia (you do not need an international driver’s license), many car rental companies require that drivers be at least 21 years of age, and some require that the driver in whose name the car is rented be at least 25 years of age. WorldMark Cascade Lodge is a beautiful destination, but it’s only one of many options for owners of WorldMark by Wyndham timeshares. 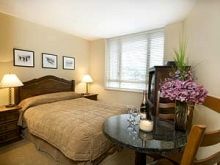 Search the great deals available in WorldMark timeshare resales and rentals in the BuyaTimeshare.com inventory now. 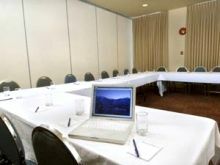 Contact WorldMark Cascade Lodge Specialist Today!